Tiger Global-backed grocery delivery firm Grofers has let go some employees and revoked campus job offers as part of a restructuring of operations, indicating the growing pains Indian startups are facing as the funding crunch deepens. "In the past couple of months, we have been making some necessary strategic changes within the company. The changes we have made will, in our opinion, benefit our customers in the long term. However, these changes have made the new roles redundant and therefore, we are no longer able to continue with the offers we made a few months back," Grofers India Pvt Ltd said in a blog post. The move comes weeks after online marketplace Flipkart deferred the joining dates of some hires from the Indian Institute of Management, Ahmedabad. Earlier this month, the All-IITs Placement Committee, the body that represents the placement cell heads across IITs, had decided to blacklist seven startups that withdrew job offers to students this year. The development highlights that Grofers has yet to fully recover after shutting operations in nine cities earlier this year. Grofers is one of the most funded grocery startups. It had raised $120 million in November last year, taking the total to nearly $200 million. Its investors include Tiger Global, Sequoia Capital and Japanese Internet and telecom conglomerate SoftBank. 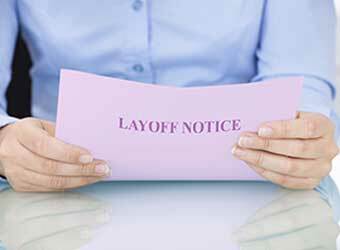 In the blog post, Grofers founders Saurabh Kumar and Albinder Dhindsa also said that the company has let some existing employees go and that it is offering severance benefits and outplacement services. The company didn't specify how many employees it has sacked or how many campus offers it revoked. Dhindsa, who is also the CEO, didn't respond to a phone seeking comment. An email to Grofers sent late in the evening didn't elicit any response. The blog post came after social media went abuzz over Grofers' decision to revoke job offers just days before the students were to join the company. A Twitter user even posted the company's letter to institutes informing about its decision. "Owing to the market conditions and changes which affect our business, we regret to inform you that such positions are no longer available," it wrote in an email to one of the institutes where the hiring was made. A separate report in Mint, citing Dhindsa mentioned that Grofers had revoked 67 job offers. The report also said that the hires were made from National institute of Technology at Allahabad and Surathkal, Birla Institutes of Technology at Pilani and Goa, and Indian School of Mines, Dhanbad. The e-grocery business has been in the limelight as various funded startups have shut shop in the past three months. Gurgaon-based online grocery startup Peppertap, which was backed by SAIF partners, Sequoia and Snapdeal, had recently shut operations.